David Robinson writes: The old falling down building was another store, I think owned by the McKinley family. From what some of the old timers said there were silent movies shown there and it was an old store. 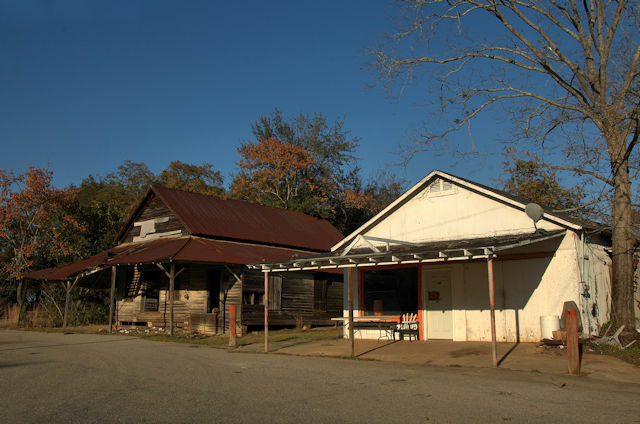 At one time Aline had cotton gin, barber shops, grocery stores, a large school and several other buildings. Highway 57 was where the rail road ran and the dirt road (partly paved now in “downtown” was located.and remnants of the dirt road can be seen on south of the town. Thanks to Travis C. Hall for the identification. Before the construction of Interstate 16, Aline was a busy little village. Today, just a few old stores and a couple of blocks of older homes remain. And it’s pronounced A-LINE. 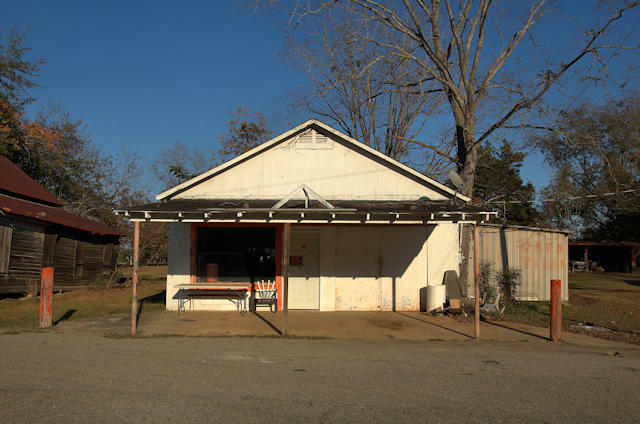 David Robinson writes: I bought the old block building beside the two pictured buildings and chatting around with many of the old timers from that town, Bill Cobb and Sue his wife ran the white painted store and lived in a home behind the store. The old falling down building was another store I think owned by the McKinley family. From what some of the old timers said there were silent movies shown there and it was an old store. 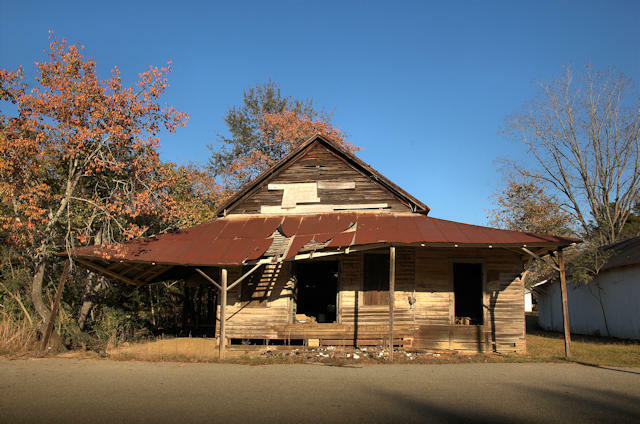 At one time Aline had cotton gin, barber shops, grocery stores a large school and several other buildings. HWY 57 was where the rail road ran and the dirt road (partly paved now in “downtown” was located.and remnants od the dirt road can be seen on south of the town.